Buying a house or land is complicated. Start out by reading my overall Page on the Buying Process. Note: This was initially written back at the end of 2011. The biggest problem in buying land back then was just picking which part of the Heights to buy in. That is no longer the case. Today (June 2014) land prices have sky-rocketed. Top dollar in 2011 was $40/SF, now it is $70+/SF. The fringes of the Heights that were $25/SF are now twice that. Heights Lot For Sale. This was a Bargain When I offered it for Sale at $225K. But price is not the big problem. It is just not available. Anything that comes on the market is snatched up by builders or astute individuals. It is not a market for the timid. (Written in late 2011) Buying Heights land is not easy. It seems like it would be; you just drive around, find something you like, and then buy it. What could be easier? It may not be as complicated in the suburbs, but buying Heights land is very complicated! I have known builders to close on land and then find out they can’t build what they had planned. Now for the most part builders are knowledgeable and sophisticated. If they can get burned, so can you. One word of advice before you even think about buying Heights land. If your goal is to buy the land; then hire a builder, and save money, forget it! The cheapest house you are going to find is one that is already on the ground. It was bought at last year’s land prices and built at last year’s construction prices. I don’t care if it is a recession…next year’s prices are going to be higher. Now if you want a true custom home; and you know what your “perfect” lot will look like, then go for it….but NOT to save money! · Location: Do you want land in the more prestigious part of the Heights? If so, expect to pay top dollar. Woodland Heights and the core streets of Houston Heights (Heights Blvd, Harvard, Cortlandt, Arlington, etc. between 11th and 20th St) are prime areas…expect to pay more for these. Drive these streets and see the big, gorgeous old homes and you’ll see why it is so popular. 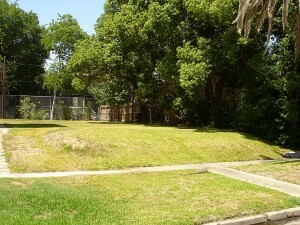 · Lot size: The typical lot in Woodland Heights & Norhill is 50X100 ft. There is no alley, so part of the lot must be used for driveway. That’s why porte-cocheres are popular…build out over the drive. 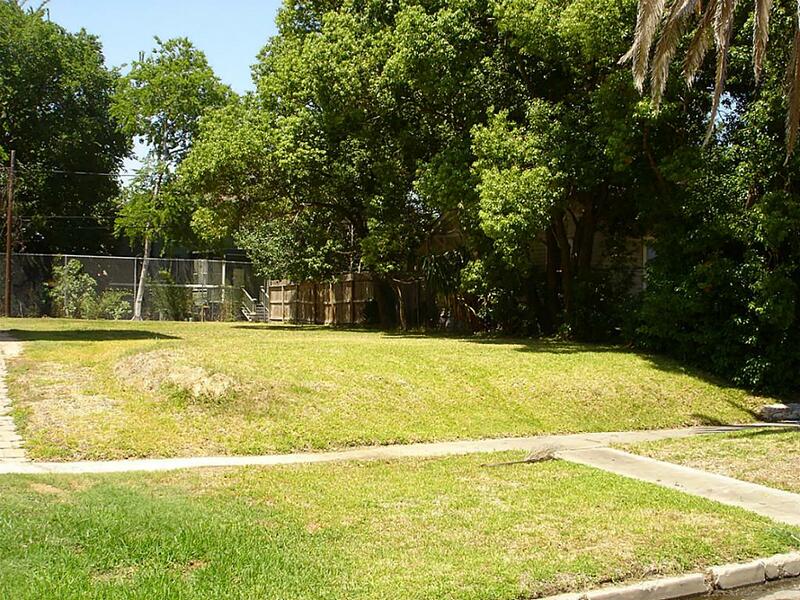 Lot size in most of Houston Heights is 50×132 ft., plus they generally have alley access so you can put a garage behind the house, accessible from alley. There is no uniformity here, so Heights lot sizes can be scrambled. · Corner vs.interior lot: A corner lot gives you more flexibility in what you can build. The garage access can be to the side. Be aware though that building set backs from the side street can limit building options. · Alley Use: If the lot you are considering has an alley access, make sure it is already in use. Gone are the days when you just cleared the alley, spread gravel and starting using it. The City wants it engineered and proper drainage installed. If you are a builder putting up multiple homes you might afford the $20K cost. If you are just building one home, $20K or so is a big chunk to add to your construction costs. Be sure to read follow up page on More Tips on Buying Land.